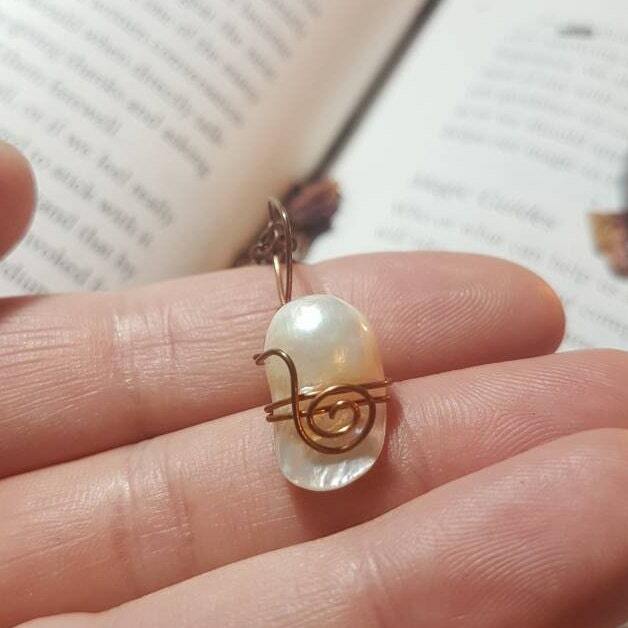 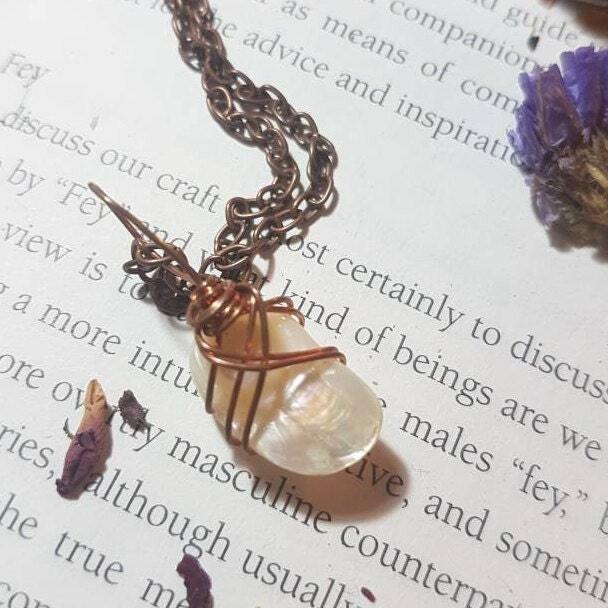 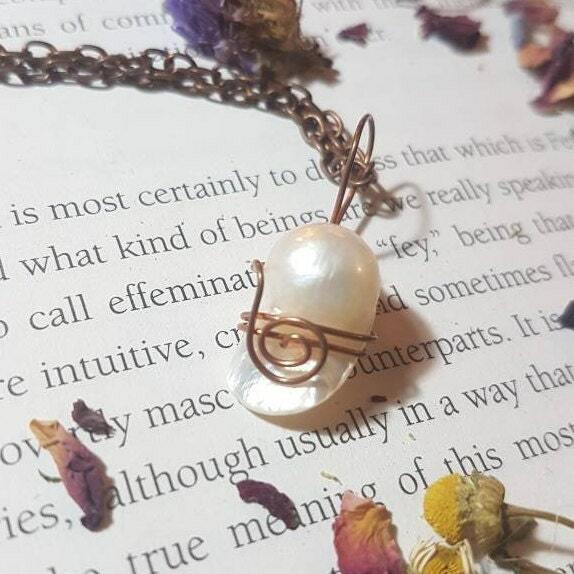 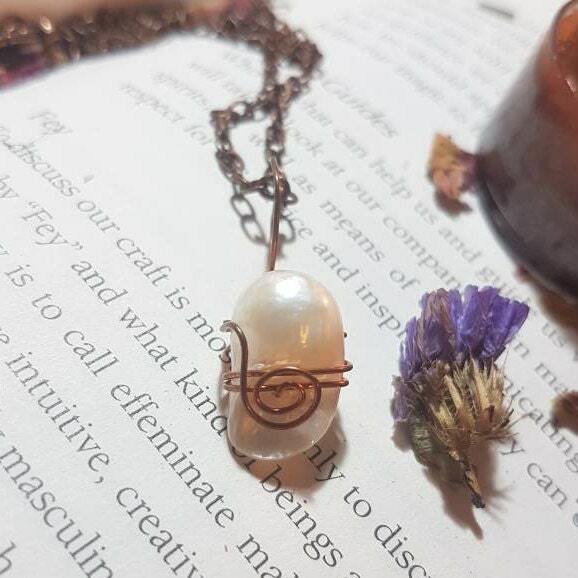 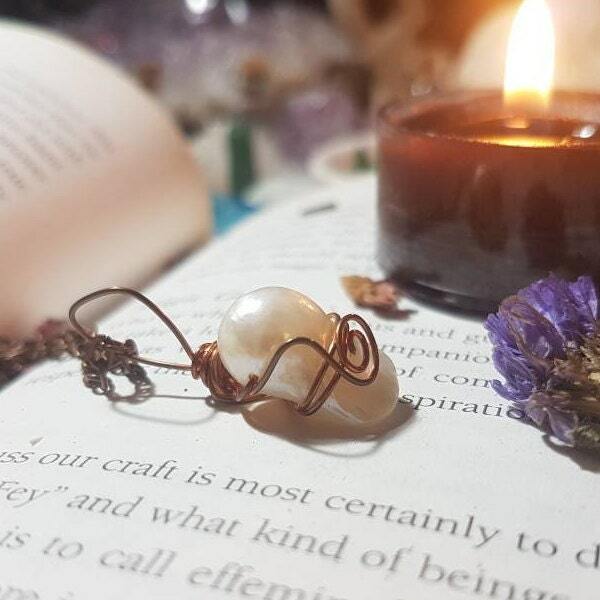 Copper wire wrapped freshwater blister pearl. 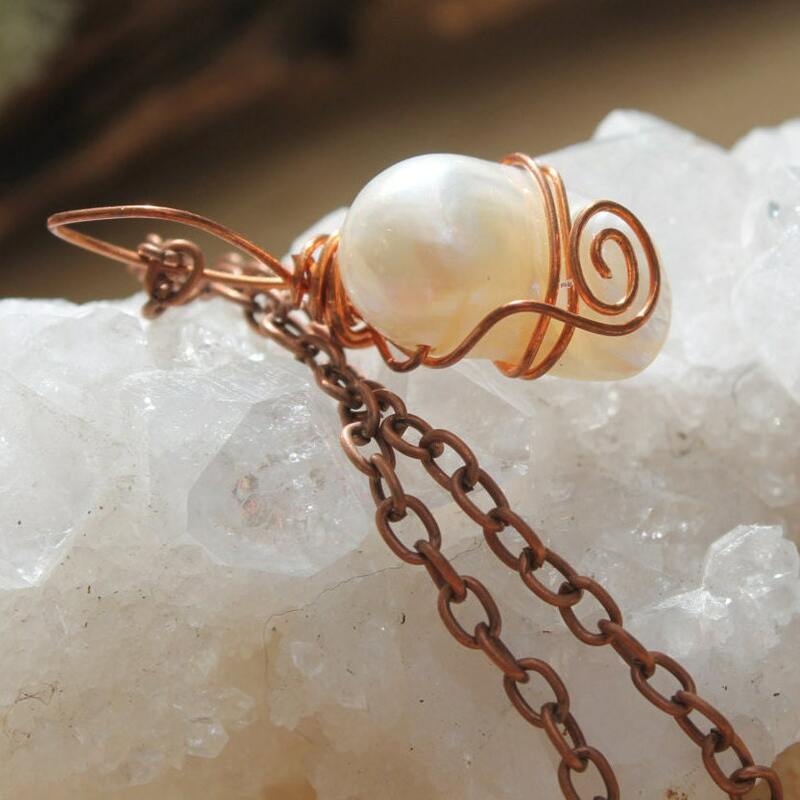 Chain and findings are copper tone (alloy). 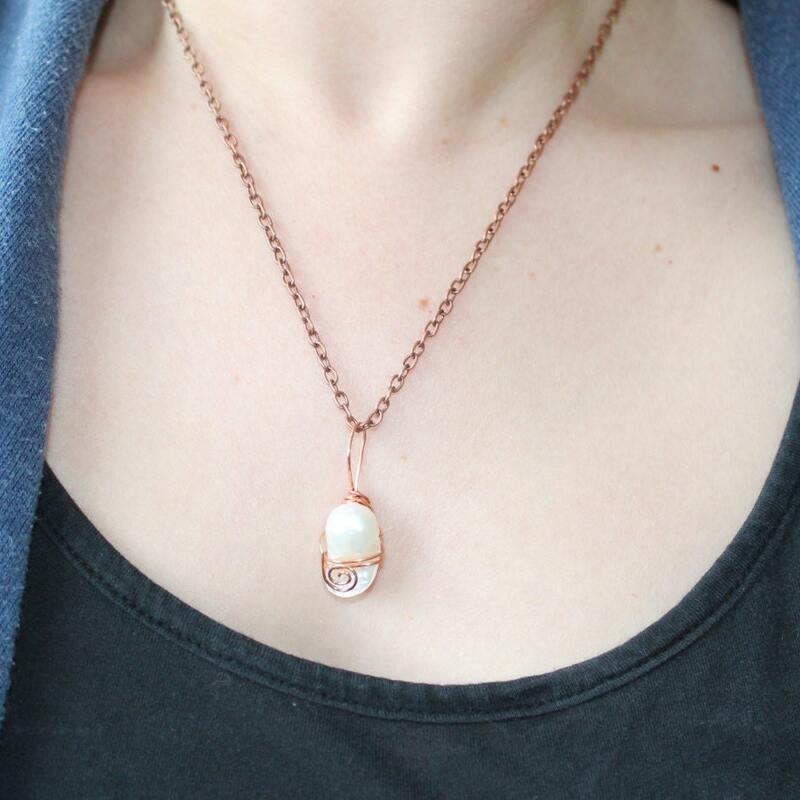 Necklace measures approx 46cm in length and pearl pendant measures approx. 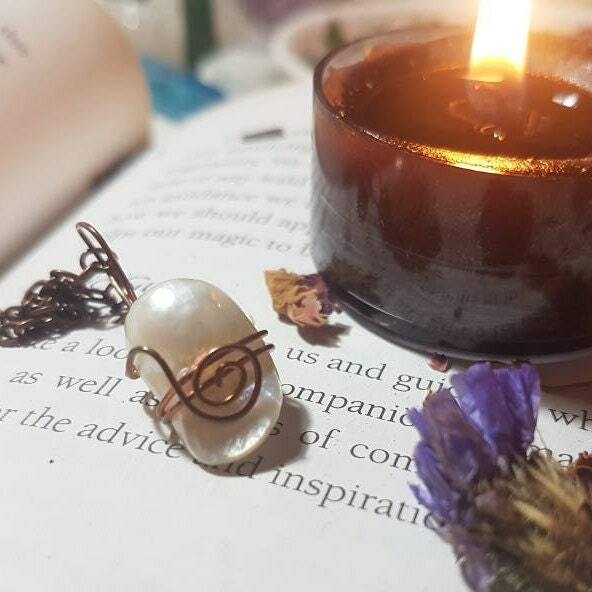 3.2cm x 1.2cm.